Another old photo from my collection. This came from a lot of photos from a postcard company. It has the file number on the print, and on the back, but no location, name or caption. There’s Taylor pork roll on the menu board, so a New Jersey location is a safe bet. 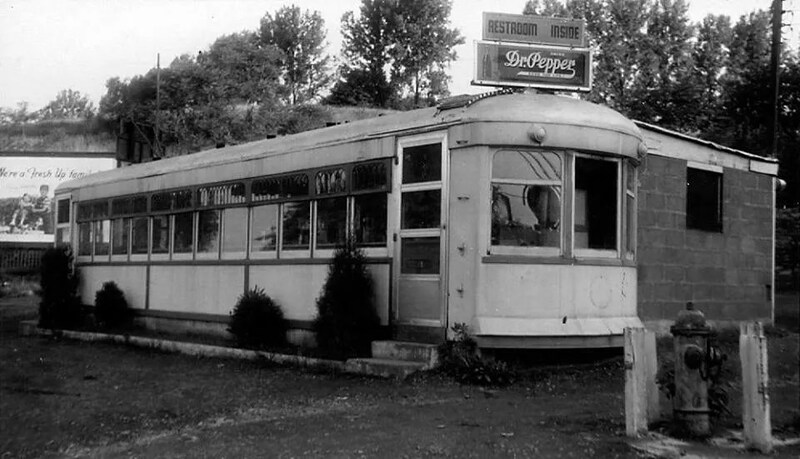 The ByPass Diner opened in Harrisburg in 1939. It was a converted Brill trolley, formerly Hershey Transit No. 8. It was purchased from Brill for $5500 by David L. Cronin and H.P. Collins. Was the diner wing of Brill ever converting old trolleys, or did they simply broker the sale? I’ve never heard of them doing either. 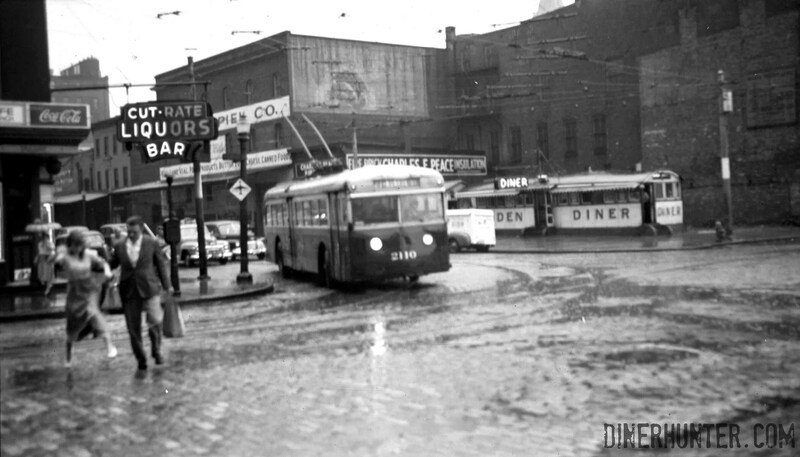 The old trolley was replaced in 1953 by a shiny new DeRaffele Diner, placed slightly differently on the lot (1933 Herr St, whereas the trolley was at 1951 Herr- the difference can be seen in the photos). That diner still operates as the American Dream Diner. 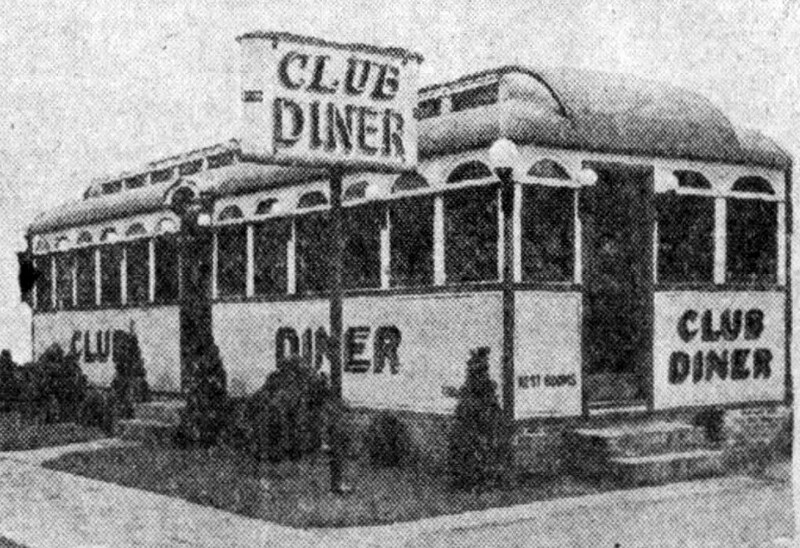 The Club Diner was built by the Jerry O’Mahony Dining Car Company and opened on May 22, 1939. Its original owner was Harry H. Schell. 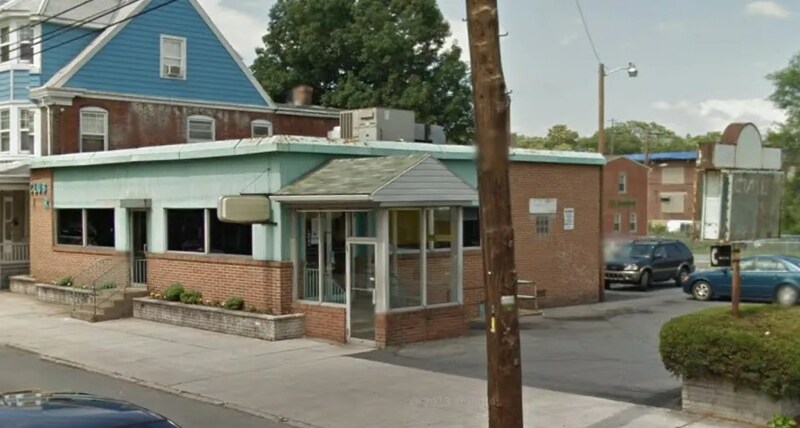 The Club Diner is still in business, at 319 S 17th St, Harrisburg, PA. I’ve driven by several times, but never been inside, so I’m unclear whether the current diner is a greatly remodeled O’Mahony Monarch, or if it’s a later replacement. If anyone has interior shots, I’d love to see them. 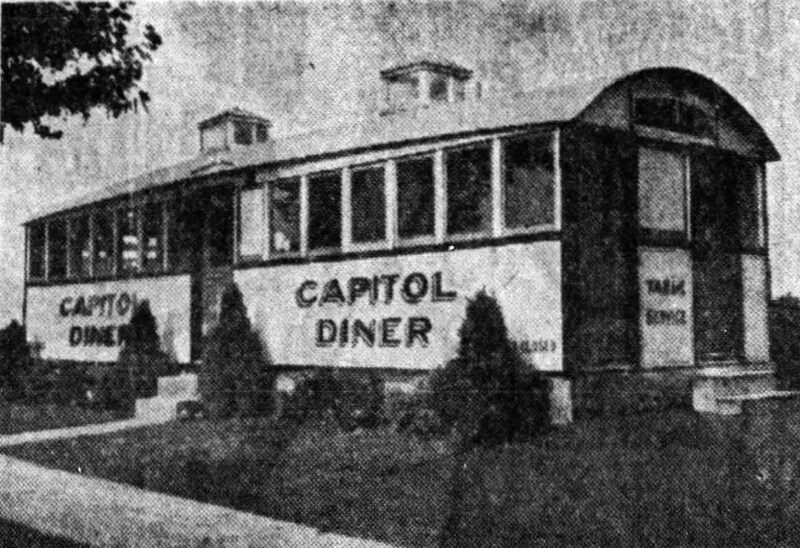 The Capitol Diner, located at 615 N. Cameron Street, in the shadow of the State Street Bridge, opened on October 2, 1940. It sat on a 10,000 square foot lot, roughly where the Goodwill donation is currently. 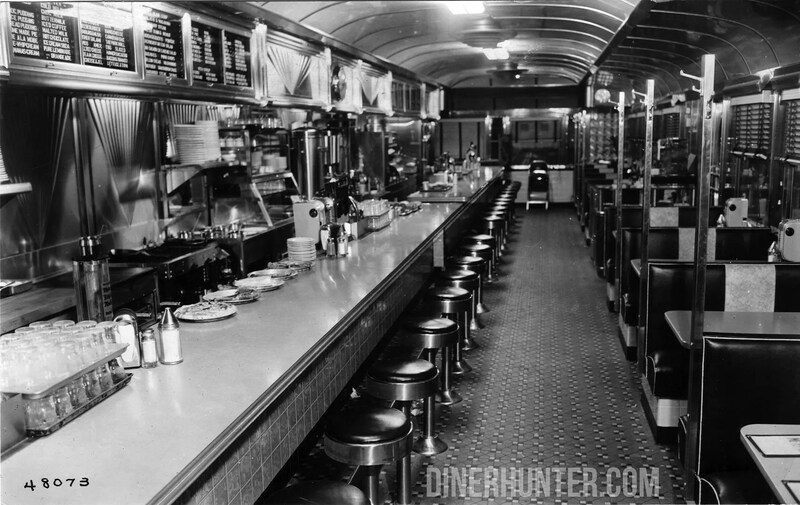 The diner was built by the Jerry O’Mahony company of Elizabeth, New Jersey, and was originally owned by James S. Banford and Richard K. Enders. 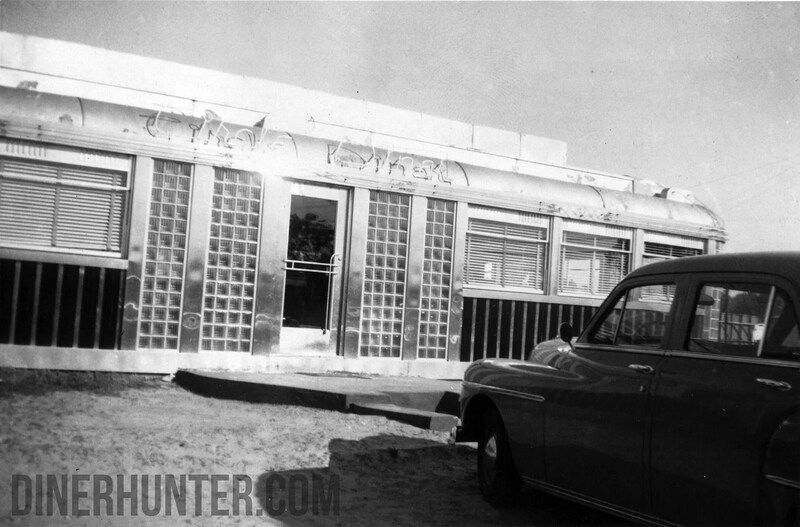 It had a brown paint scheme and sat 25, 17 at the counter and 8 at four deuce tables. By the summer or 1941, directories list the lot as the site of a used car dealership, which it would remain for decades. It is unclear what became of the diner. I just got in the negative for this photo- the Camden Diner. 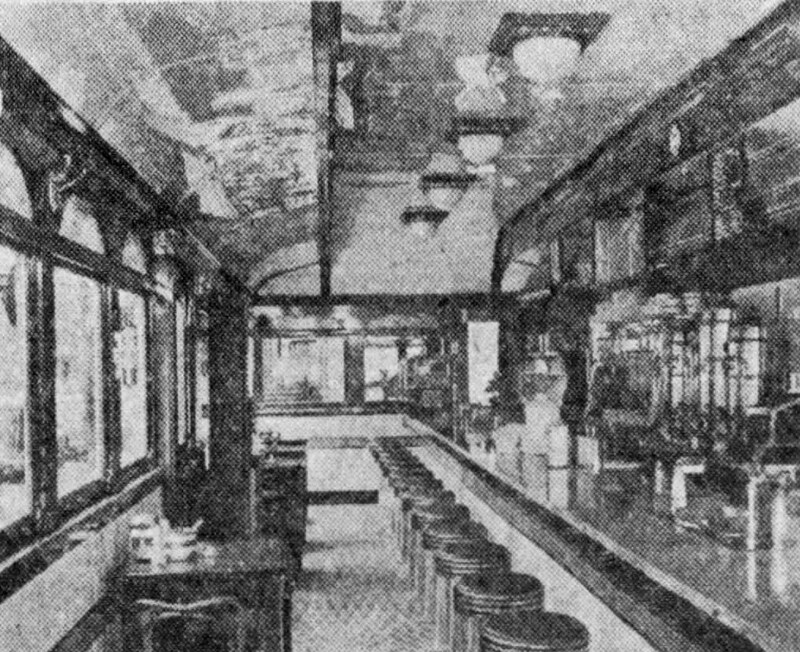 The diner was located at the corner of Howard and Pratt, by Camden Station. Nothing in the photo still stands, having been redeveloped for the convention center and for Camden Yards. The photo was taken on June 19, 1948. The diner doesn’t seem to have lasted long under this name, I can only find records of it as such from the late 1940s through early 1950s.